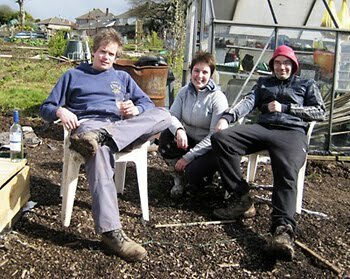 I have just stumbled across this article about Lady Mary Allotments. It's a lovely piece that features a video interview with Richard and Judith who manage the plots. Certainly a different perspective from the video shots. Made me feel shivery when I saw the snow, after the recent hot weather.